From the Award-winning author of INTO THE RIVER comes a riveting and action-packed novel that asks one question: Which street racer really controls the strip? 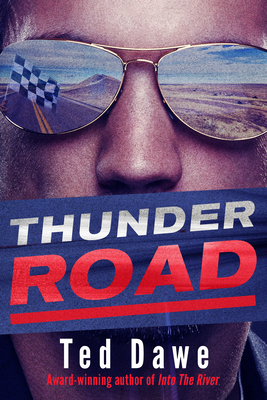 'Thunder Road' - You find it in any city after the cops are in bed. It's where street racers go to test their machines - and their nerve. For Devon Santos and Trace it's the steep rising pitch of the turbo, the screaming tires and curtain of white smoke hanging behind them: everything that spells street racing. Trace has grown out of small-town ways. He's hungry for more. In Auckland he hooks up with Devon, a guy with the Midas touch, who introduces Trace to burn-offs, big city style. Soon everything is smoking. There is a code with drivers: you don't criticize and you don't show fear. When Trace falls for a girl even Devon says is out of his league, loyalties are stretched. Then Devon hits on a scheme for hauling in cash. Soon enough he and Trace find out who really controls the strip. As the underworld closes in, it looks like their friendship and their lives could be heading for burnout. Ted Dawe has worked over the years as an insurance clerk, store man, builder's labourer and fitter's mate, and flown hot air balloons over Hyde Park. He's also been a university student, world traveler, high school teacher, and English language teacher. Thunder Road, won both the Young Adult Fiction section and the Best First Book award at the New Zealand Post Book Awards for Children & Young Adults, and Into The River won the Margaret Mahy award, which is "presented annually to a person who has made an especially significant contribution to children's literature, publishing or literacy, and honours New Zealand's leading author for children." Visit him online at TedDawe.com.